"Spreading Love And Health Throughout Africa"
CASABLANCA, Morocco, May 23, 2018 /PRNewswire/ -- Zakieia Rouah's fascination with other people began when she was a young child. She wanted to know what they thought, what interested them, their life stories. She began her career as a flight attendant to see the world, to experience other cultures and to study human behavior. Her parents encouraged Zakieia to be independent and ambitious, to advocate for justice and to "love those who need it most." Zakieia Rouah is the youngest and only female master franchisee for Anytime Fitness. Now, after earning a master's degree in marketing psychology, working for multi-national companies in Europe and operating three franchised businesses, the 36-year-old mother of four is determined to "spread love and health throughout Africa," as the youngest and only female master franchisee for Anytime Fitness. "Anytime Fitness is about the people, about who you are, what your story is, where you come from, but most of all about feeling accepted no matter your shape, age, gender or fitness goals," said Zakieia. "This is a fantastic franchise concept with the right elements, class and style, and it is accessible to everyone, as it approaches people with respect and kindness. My dream is to do something positive for others and provide them with the tools to do something good for hundreds of other people." Zakieia hopes to open her first Anytime Fitness gym in July and a second gym in September, both of which will be situated in Casablanca and corporately owned. Over the next several years, she anticipates opening as many as 50 gyms throughout Morocco, most of which will be franchises. For 10 years in a row, Anytime Fitness has been the world's fastest-growing fitness franchise, averaging more than 300 new gyms each year over the last decade. Currently serving 3,300,000 members in 30 countries on five continents, Zakieia's Anytime Fitness gyms will be the first in Africa – the sixth continent for Anytime Fitness. 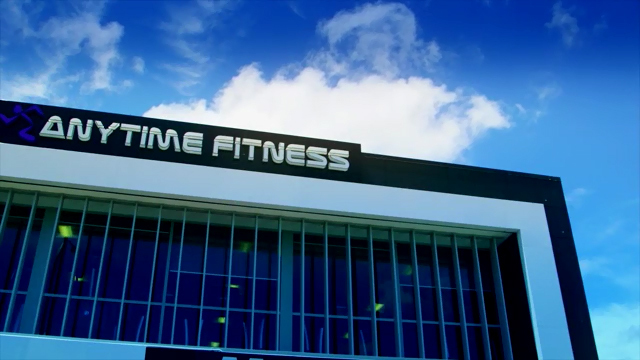 And, if plans to open a gym in Antarctica are finalized, early next year Anytime Fitness will become the first franchise in history with locations on all seven continents. Meanwhile, Zakieia is excited to bring friendly, convenient and affordable fitness options to Morocco. "This is like a homecoming for me," said Zakieia, who was born in the Netherlands. "I see a huge market of people like myself Moroccan of origin, but living and raised abroad, looking for possibilities to set up business in their home country. My passion to see people grow, to help them, and to make our world a better and healthier place has never dampened." Zakieia's husband, Joep, will serve as Chief Financial Officer for Anytime Fitness Morocco and her sister, Hanna, will assume the role of Business Development Director. "We chose Casablanca [for our first gyms] because it is the heart of Morocco," Zakieia said. "It's the place where dreams come true and where people work hard but also play hard. It's the city that never sleeps and where everything happens. Anything that is a success in Casablanca will definitely be a success anywhere else in Morocco." Ranked #1 on Entrepreneur's prestigious Top Global Franchise list, Anytime Fitness is the fastest-growing gym franchise in the world, with 4,000 gyms serving 3,300,000 members on five (soon to be all seven) continents. Open 24 hours a day, 365 days a year, Anytime Fitness prides itself on providing its members with convenient fitness options and friendly, personal service in well-maintained facilities which feature top-quality exercise equipment. Gyms are now open in all 50 states, Canada, Mexico, Australia, New Zealand, England, Scotland, The Republic of Ireland, Wales, Grand Cayman, Poland, the Netherlands, Spain, Qatar, India, Chile, Japan, Singapore, Malaysia, Hong Kong, China, Taiwan, Belgium, Italy, Sweden and the Philippines. All franchised gyms are individually owned and operated. Join one gym and use them all.